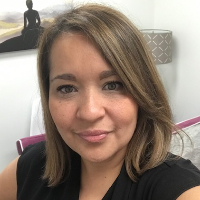 I am licensed bilingual clinical social worker with over 20 years of experience in the field of community/mental health (child, adolescent, & adult psychiatry). Having been part of two of the most prestigious institutions in the U.S. including New York Presbyterian Hospital and Columbia University has alloted me the opportunity to apply cutting edge interventions and to train other professionals in the field to expand top notch quality care. I am a medley of my experiences, being born in Ecuador, raised in NYC, exposed to multiple diverse cultures, languages, spiritual beliefs, and ideas have made me who I am and how I work. I also developed a thriving private practice in NYC which I maintained for the past 10 years prior to my move to the South. The most valued components of what I do are centered in helping others reach their potential, enhance their inner lives, and in giving others tools for success. I am passionate about people, mental health wellness, and hope. My approach is collaborative, you and I are a team. I am open minded, curious, compassionate, tolerant, intuitive, professional, dedicated, hardworking, and transparent. I will walk beside you through your journey at your pace and with patience. I will utilize evidence-based treatment tailored to your specific needs at all times. Being bilingual in Spanish and English has augmented the different populations I am able to serve. She is excellent. Very supportive and understanding. Completely listens and recommends various options to explore and guide you through your therapy. Very experienced and educated. Highly recommend. ,Karen was nothing but a joy to work with. She was my first ever experience with counseling and I felt so pleased with my work with her. She was so kind and understanding and always made me feel so comfortable. I will genuinely miss speaking with her. Working with Karen has been a game changer. With her support and the techniques she’s shared with me I have been able to move past challenges and blocks. Thanks to Karen I feel hopeful and excited about the future. She listens very carefully and remembers a lot of what I say, which tells me how much she really cares. She's always offering me new perspectives on situations that I thought were black and white. And she does a lot to help you accept things that maybe you can't work through on your own. Karen is a fantastic counselor, her expertise in this kind of work shows. Can't thank her enough. Karen is excellent, knowledgeable, and very easy to communicate with. She immediately made me feel at ease. Would you like to write a review for Karen Pena? We'd appreciate if you can spend a couple of minutes to write a short review for Karen Pena (LCSW). This review would be shared with Karen Pena. It may also be posted in our website or in Karen Pena's profile but it would be anonymous and your identity would be kept completely confidential.